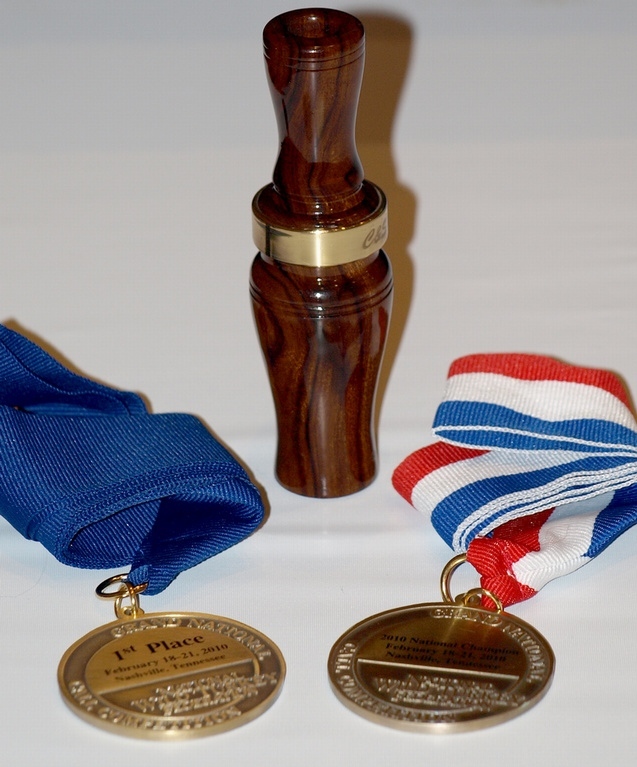 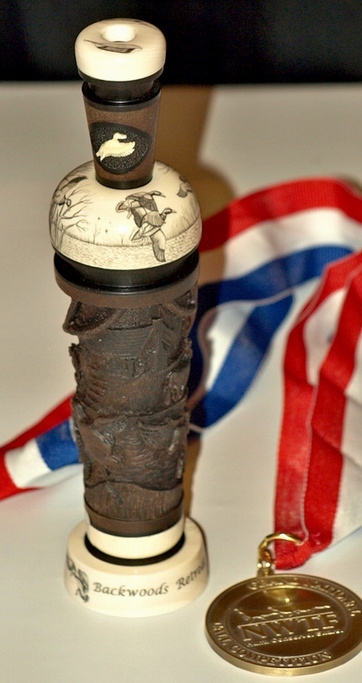 Callmaker Dave Constantine wins Grand National Decorative Turkey call Best of Show. 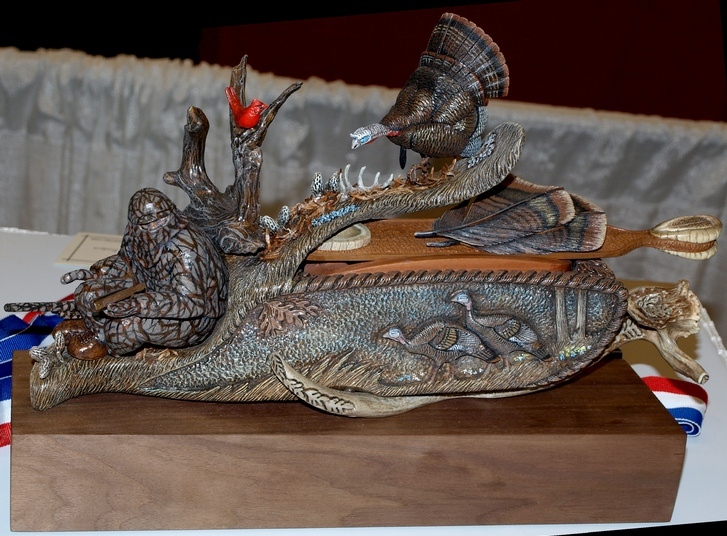 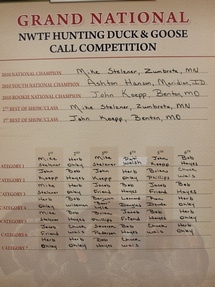 Callmaker Mike Houlihan wins his second NWTF Division 3 Best of Show. 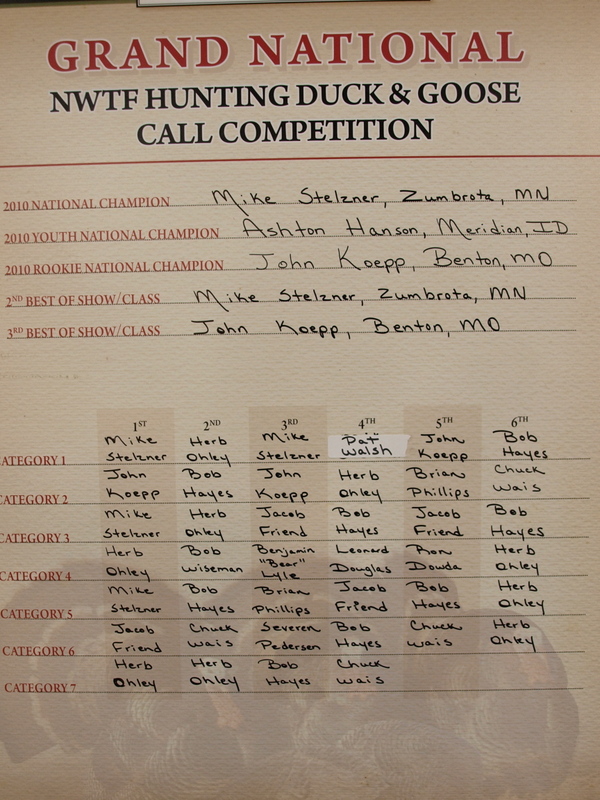 Callmaker Mike Stelzner wins his third in a row NWTF Division 4 Best of Show. 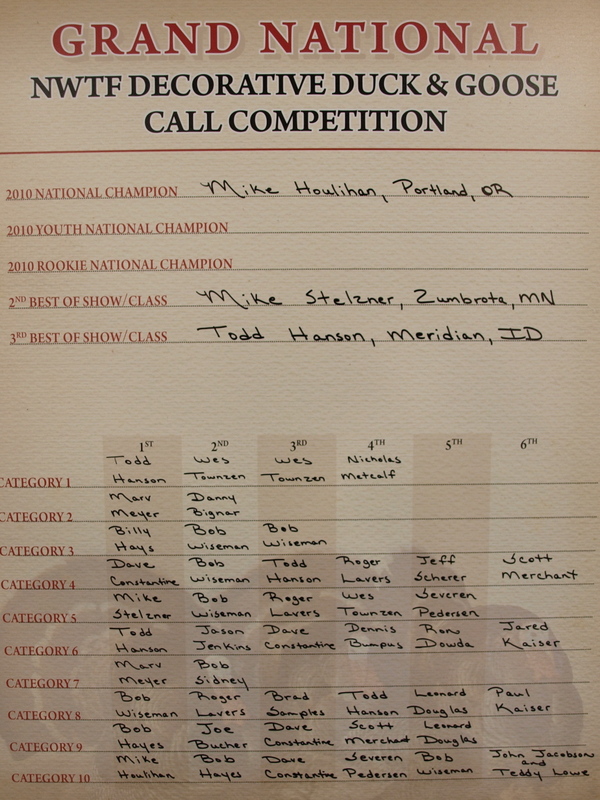 Callmaker Jared Kaiser wins the 2010 Youth Decorative Callmaker of the Year Award. 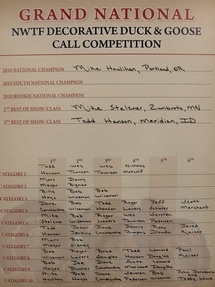 Photo of the call is not available.